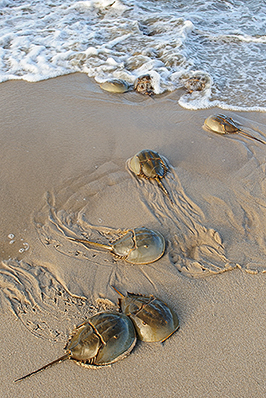 The companies listed below source their endotoxin detection materials from suppliers that use best practices for horseshoe crab harvesting and manufacturing operations and are securing their supply line by moving their endotoxin detection methodologies towards practices that reduce the use of this natural resource and/or eliminated the need for animal based endotoxin detection all together. Join our work to protect the world's four horseshoe crab species by supporting these companies! You can read their corporate policy on sustainable practices here. At the International Conference for the Conservation of Asian Horseshoe Crabs (ICCA-HSC) held in Bangkok, Thailand August 26th, 2017, ERDG presented its concern about the over harvesting of the Tachypleus species for the production of TAL and the detrimental impact it is having on the Tachypleus population throughout Southeast Asia. In this presentation ERDG invites the pharmaceutical/biomedical industry to join the horseshoe crab conservation community in the conservation of these remarkable Asian species, by eliminating unsustainable endotoxin testing products from their supply chain.